Together, the NECA & IBEW partnership sponsors a local student athlete program called Thursday Night Lights where one deserved player earns a $3,000 scholarship along being named Scholar Athlete of the Year. NECA President, David Long, visited Omaha earlier this month to celebrate Building Omaha’s commitment to community involvement. Watch the video below to learn more about how Building Omaha is empowering lives and communities. 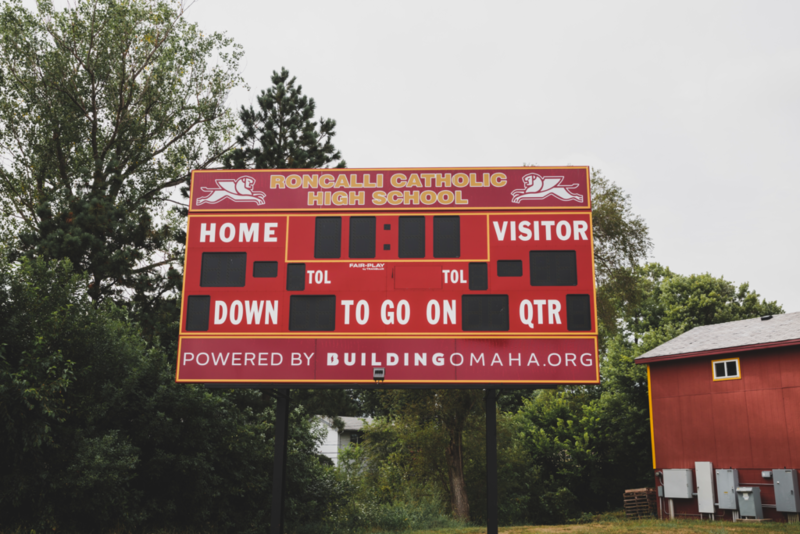 Building Omaha has donated six scoreboards to six Omaha high school football fields including Roncalli, Benson & Bryan High. See below!